Survivalist and explorer Ed Stafford faces off against the planet's top survival experts in a real-life race to get out of Asia's most hostile environments. From the tangled wilds of Borneo's crocodile-infested mangrove swamps, to the deadly sandstorms and extreme dehydration of the Gobi Desert, these locations are as tough to survive as anywhere on Earth. Equally as tough is the competition, as Ed goes head to head against former British Royal Marines, South Korean special forces, endurance athletes and survival instructors. Ed may be able to survive almost anywhere or anything, but so can these extraordinary people. With speed as important as survival, who will be the first to escape these lethal landscapes? Love Connection returns for another heart-pounding season, hosted by Andy Cohen. Two singles will be sent on three blind dates each, with the hope of finding a love connection. They will then tell all in front of a live studio audience, as their dates also react. Unlike Season 1, the primary dater doesn't have to choose between money or love... but if the audience correctly predicts who made a love connection, the dater wins $10,000. In this season's food adventure, Andrew retraces North America's culinary steps and tests his steel stomach on the likes of Yukon black bear heart and colonial-era eel. Ever wondered about the diets of Texas cowboys, or of Mark Twain on his Mississippi journey? Join Andrew in his Season 10 quest to eat through the bizarre edible history of the States. With its rich stew of food traditions from hundreds of historical cultures, there's more than meets the eye to this (sometimes literal) melting pot's cuisine. This season, Teen Mom OG star Amber Portwood, her fiancé Matt Baier and mother Tonya are stuck in a vicious cycle of anger and tabloid scandals and enter Boot Camp as their last resort. Rapper Jim Jones arrives, stuck in between his Mama, Nancy and fiancé of 7 years, Chrissy Lampkin. Real Housewives of Beverly Hills wild child, Brandi Glanville, uncorks her rosé and unleashes her vices to get attention and acceptance from her embarrassed father, Guy. The mob is coming to blow the house down when Boot Camp veteran, Renee Graziano, and her sisters Jenn and Lana, descend upon the compound grounds with years of resentment and pent-up rage. 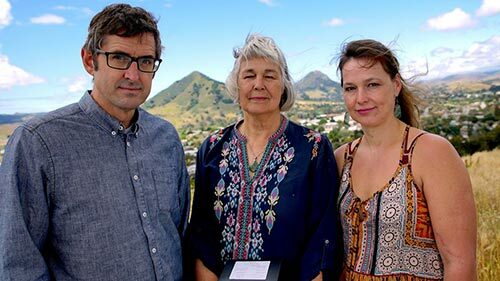 As the final episode in the three-part series, Louis Theroux heads to the West Coast of America to explore the ramifications of 2016's Aid in Dying legislation that allows a person to take a prescribed cocktail of drugs that will result in their death. Terminally ill people who meet certain criteria can take the lethal medication wherever and whenever they want, without further medical assistance. But even for those who want that option, being given complete autonomy over your own death can raise complex questions, making it impossible to choose the right time. And what of those who don't meet the law's requirements? Louis speaks to some who are looking at extreme measures to end their own or other's lives.